The Chinese Lunar New Year is also known as the Spring Festival because it starts at the beginning of spring. It is the most important festival in China and is traditionally a time for family reunions. Many of China's ethnic minorities celebrate their Lunar New Year around the same time as the Han people, although some maintain their own calendars. Mài kè: Chūn jié dào le. Zhè shì wǒ zài zhōng guó guò de dì yī gè chūn jié. Mike: Spring Festival's here. It will be the first time I'm celebrating it in China. Lì li: Huān yíng nǐ dào wǒ jiā lái hé wǒ men yì qǐ chī nián yè fàn. Lili: You are welcome to have New Year's Eve dinner with us. Mài kè: Zhè qī jiān zài wài dì de rén men tōng cháng huí jiā yǔ jiā rén tuán jù, shì ma? Mike: People who live away from home usually return during this time, don't they? Lì li: Shì de. Rén men máng zhe dà cǎo chú, zhǔn bèi nián huò, tiē duì liárn, fàng biān pào. Lili: Yes. And people will be busy with their spring cleaning, shopping, decorating their homes with Spring Festival couplets, and lighting firecrackers. Mai ke: Chū yī nèi tiān nǐ men yào zǒu qīn fǎng yǒu ma? Mike: Do you visit relatives and friends on the first day of the New Year? Li li: Shì de. Chū èr nèi tiān xīn xí fur hái yào huí niáng jia. Lili: Yes. And for a newly wed woman, she typically visits her parents on the second day. Mài kè: Tīng shuō běi jīng de miào huì hěn rè nào. 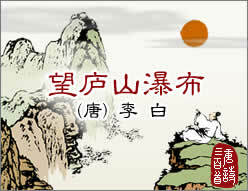 Wǒ xiǎng qù guàng miào huì. Mike: I was told that Beijing's temple fairs will be bustling. I'd like to visit some of these fairs. Li li: Hǎo a. wǒ péi nǐ yì qǐ qù. Wǒ qǐng nǐ chī zuì hǎo de táng hú lu. Lili: Of course. I'll go with you, and I'll buy you the best sugar-coated haws (candy) on a stick. Mài kè: Xiè xie. Wǒ kě yǐ pǐn cháng dào běi jīng de xǔ duō chuán tǒng xiǎo chī. Mike: Thanks. I'll get to taste lots of traditional Beijing local delicacies, I'm sure. Lì li: Nǐ hái kě yǐ xīn shǎng dào zhōng guó de xǔ duō mín jiān yì shù. Lili: You will also enjoy many Chinese folk arts. fŭ jué dìng nóng lì xīn nián de dì yī zhōu wéi gōng jià . yǒu xiē yǐ jīng suí zhe shí jiān de tuī yí ér xiāo shī le . tōng cháng chī nián gāo . Literally, it means "three at dawn and four at dusk". Through the years, whilst the essence of the idiom has been retained, it is used to describe someone who is apt to change; someone who is fickle; and even someone who is manipulative. Yí shì yín hé luò jiǔ tiān.